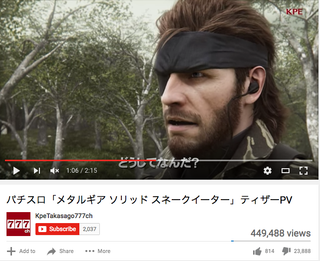 Yesterday, Konami revealed Metal Gear Solid: Snake Eater for pachinko slot machines. Today, people are mass-disliking its debut trailer. As of writing, the clip has been viewed nearly 450,000 times, while the dislike counter has hit 23,888 and there are 814 likes. That’s some ratio. This comes after a very strange year for Konami. Fans seems unhappy by this latest move, even if the pachinko graphics do look pretty good.